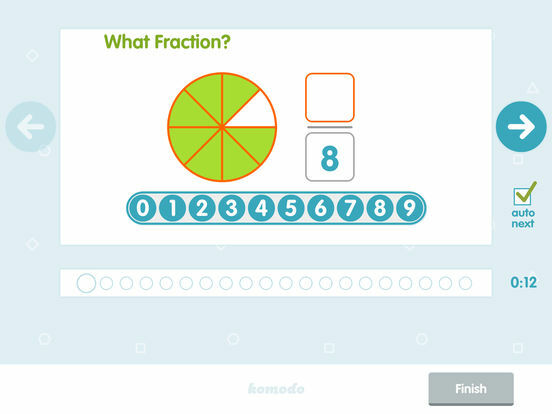 Komodo is designed to build and consolidate maths knowledge for children aged from 5 to 11. A maths teacher sets up each user's baseline in the app and parents define the rewards. Children then engage in little-and-often practice to raise their maths knowledge and skill. Whatever a child's natural ability in maths, only practice and effort will result in the achieving of their full potential. Primary school children are building the foundations for the speed, accuracy, and understanding that they will need in maths later in their education. Komodo is designed to support parents and schools in ensuring that children have a strong knowledge of math and are fluent in its application. As Komodo is a full-featured learning platform, setting it up could be a little overwhelming for parents unused to such things but Komodo has made it as simple as possible. The dashboard is clear and logical in its layout and a very helpful video is available in the app to talk you through the whole process and explain what each option does and why you would use it. If you have used or seen other apps of this type you might be surprised by some of the steps in the set up as they are unusual and innovative. The big one is that the app creates a learning programme for each student not through the use of a proprietary artificial intelligence but from the informed experience of a real person - a maths teacher no less. This unique facility does build in a slight delay between when you sign up for the service and when your child can begin, but it is promised to be no more than 24 hours and it does instil more confidence than an AI. The appraisal is informed by the general details that you add about your child, including the chance to make any comments specific about your child that a maths teacher would find useful to know. Your child also has to perform a short test to provide some further context for the teacher making the learning plan. This maths-teacher input alone is a big distinguishing factor between Komodo and its competitors and is effective in tailoring it to the individual student. You'll receive an email detailing the assigned levels for different topics of maths but this is only for your own reference as the app takes care of setting the tasks. The advice given is for the student to use Komodo Maths for about 15 minutes 3 to 5 times per week. This should be enough to refresh, consolidate and introduce new areas of understanding without the app feeling like a burden to the child and having a counter-productive negative association. The other options performed as part of the setup are also interesting. Children are becoming jaded by the common reward mechanism of dressing up characters through items earned in game. The rewards in Komodo are personalised. The app's developers describe parents as the 'secret sauce' to the app's impact on a child's learning. Parents can define what rewards to offer and how they are earned. This gives children a tangible and personal goal to work towards. The app, as in many areas, offers a useful piece of video-based advice to this. Rewards don't have to be physical or cost money. They can involve other treats. Parental praise is always welcome but the chance to stay up late on a Saturday might be a real motivator. The developer's own website also has some helpful and useful articles to help parents have a practical input into their children's maths education. Children are guided through their section of the app as much as parents are in the setting up of it. 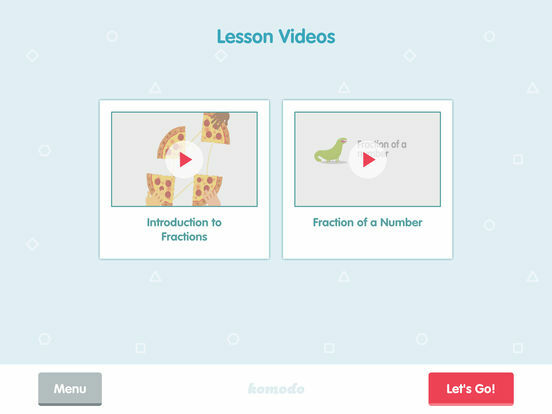 Videos explain how to use the app and teach topics of math. There is a nice set of features to make the lessons effective. As well as quality of life ones, such as being able to hide distracting timers, children can easily go back over the work they have done and see where they went wrong and, hopefully, correct the errors. There is a nice balance between the assessment of speed and accuracy in the tests. Accuracy is the most important as a wrong answer arrived at quickly is of no value at all, so children can score up to a grade A in the app's own grading system through accuracy alone. However, if they complete the task within the set time and still achieve the highest accuracy level, they can get an A*. The questions are presented very clearly using a format appropriate to the topic. For example, in fractions questions, a fraction can be displayed graphically and the answer entered into the numerator and denominator. In addition and subtraction, answers are entered into a box after the equals sign. The app uses its own built-in number pad to ensure that nothing is obscured by the built-in one popping up and that it is not full of distracting and irrelevant keys. Each task only takes a few minutes so children should be able to complete a few in each sitting. This also keeps their attention better and gives them the satisfaction of seeing their accomplishments quickly mount up. There is also the benefit that any incorrect answers will not have been entered too long ago and children may be able to remember their thought process that resulted in the wrong answer and see how they should have answered. Accessing the app itself is as convenient as can be. It is available as an app on every platform including PCs, iOS, Androids, and Kindle Fire. It is also available on the web although sadly only as a Flash-based platform which makes this option time limited as Flash will soon be fully discontinued. The dashboard, on which you can monitor your child's interaction with the app and tweak settings, can be accessed in a straightforward web page so there will be no difficulty in staying involved in your child's maths learning. Komodo Maths feels like a very complete maths learning platform. From the human touch involved in getting the experience just right for each child, to its supported learning and practise activities, it oozes quality and careful planning. As there is a generous 14 day free offer period for you to assess the app for yourself, you would be wise to go and sign up to this fabulous service. 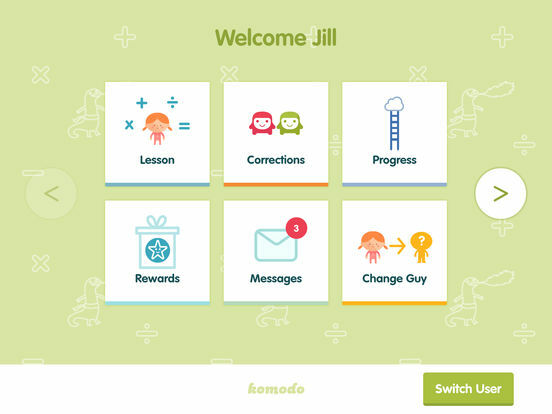 Komodo™ is a non-trivial, super-effective way to help young children master mathematics. Regular practice is the tried-and-tested approach to mastering arithmetic. Komodo makes this painless in a super-rewarding way that kids actually enjoy using. Aimed at ages 5 to 11, Komodo's adaptive technology tailors the learning experience to the needs of each child, adjusting as they go along. Komodo’s focus is on mastering arithmetic and mental math/maths because this is the key platform for future success in mathematics. It takes learner through counting, addition, subtraction, multiplication - including times tables, division, fractions, decimals, percentages and many more essential topics. One of the most important parts of a child's learning is your involvement. 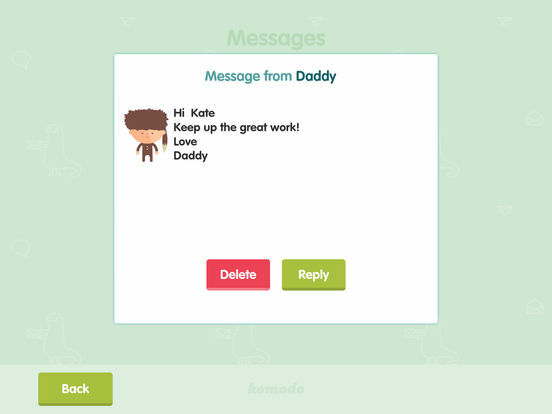 Komodo helps you support your child's learning in a way that you'll both find quick, fun and rewarding too. Komodo's adaptive system allows kids to skip to an appropriate level once they have mastered a topic, so even the most able should find it constantly rewarding and challenging.